Discord is going to start selling video games. In a blog post, the company revealed that it is going to be rolling out a curated storefront similar, Discord says, to independent bookshops. So far it's primarily indie games on sale, seemingly, with Hollow Knight, Into the Breach, Frostpunk and Pillars of Eternity II: Deadfire appearing in the announcement post. Recently, PocketGamer.biz senior editor Craig Chapple reckoned that Discord would be heading this way. In addition to this, the firm is introducing 'First on Discord' titles - indie games that are available on the platform for - usually - 90 days before they come to other platforms. Similar to Steam, Discord is rolling out a Universal Library. This will scan your computer for games and add them into its library. These will then boot from the default launcher. Discord Nitro users also now receive a selection of games curated by the platform. 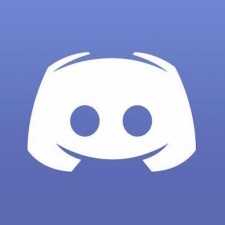 If all this wasn't enough, Discord now has 150m users. That's up from the 130m announced in May. "You ever been in one of those smaller boutique bookshops with recommendations from employees written on little note cards?" the announcement post reads. "We love that hands-on personal approach to sharing great content with others. We think this kind of cosy neighbourhood bookshop vibe would be great for games. It reduces clutter and makes it easier to find what you want. "Alongside the upgraded Nitro, we’ll be launching a curated game store experience similar to one of those cosy neighbourhood bookshops with recommendations about the hottest and newest games from us to you." Discord's offering follows the company launching a Games Tab. This is the latest fragmentation in the PC games market as Steam becomes more of an inhospitable environment.